After a long time being labeled “the ugliest female idol in Kpop history”, JooE finally received praise for her beauty. Not having the look as perfect as other female idols, JooE was repeatedly disparaged for being ugly. However, the situation seems to be more positive recently, JooE finally received a lot of praise when she dyed her hair black. It seems that the female idol is becoming more and more beautiful than ever. Contrary to JooE‘s pink hair with energetic dance moves on stage, she won the hearts of fans because of her recent glamorous image. 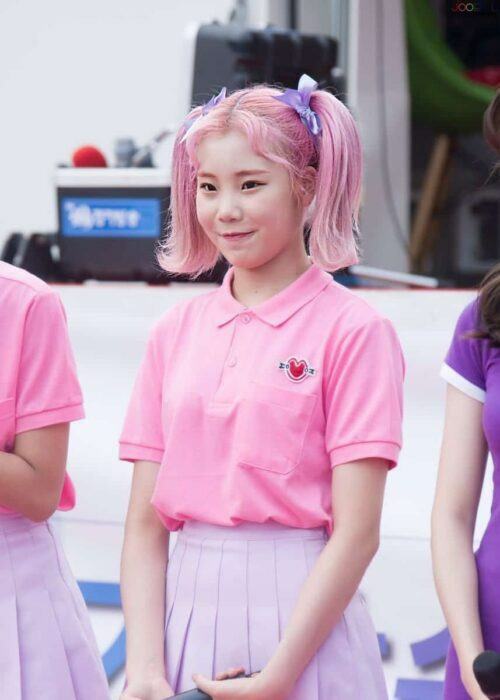 Jooe’s charismatic look these days. It can be said that no angles can drown her increasingly beauty. “Is JooE another MOMOLAND’s visual? The title “ugliest female idol in Kpop history” is probably not suitable when JooE has become so beautiful now.